When it comes to the never-ending amount of children’s toys that flood our homes every day, it can start to feel like we’re fighting an ever-losing battle. Isn’t there a saying that trying to clean your house with kids is like shoveling your sidewalk while it’s still snowing? Of course we all want to let our kids play to their heart’s content, but we also want to live in a well-organized home, since it makes life easier for us—and also for our kids, who won’t have to lose their favorite playthings ever again. To ensure that you and your children, along with their toys o’ plenty, can live in happy harmony, it’s time to instill some sneaky solutions for your every day toy storage. Is it a couch, an ottoman, or just a toy box? Only you will know the truth. Plenty of deep storage for even the clunkiest toys, and it disappears within the push of a drawer. 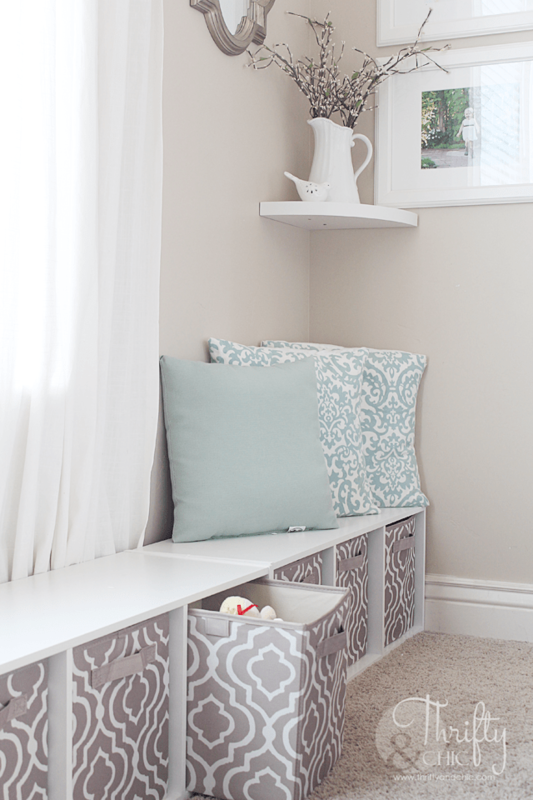 To create a toy room with maximum storage efficiency, you can DIY this project if you’re particularly handy, or simply ask hire a contractor to help you achieve this space- and headache-saving idea. Plus, clean-up is a snap. Just throw in the toys and close! 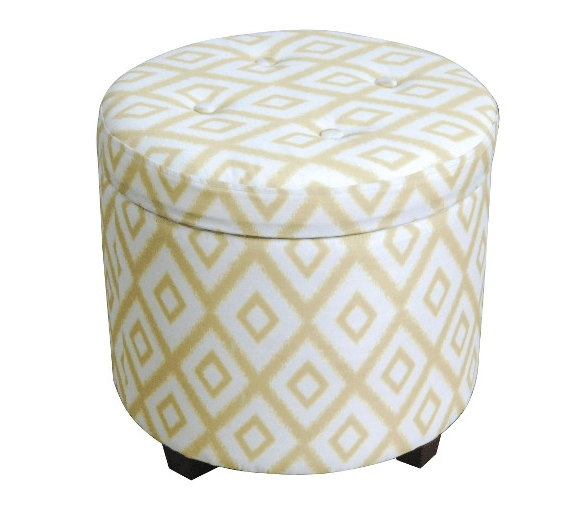 An ottoman with hidden storage, like this trendy tufted version, is a simple way to provide seating and toy storage. You could stash a few ottomans around the house or in a toy room for playtime where you least expect it. This isn’t just a common everyday table, my friends. This is a table that doubles as a train station, toy storage, and Lego command central. Genius! 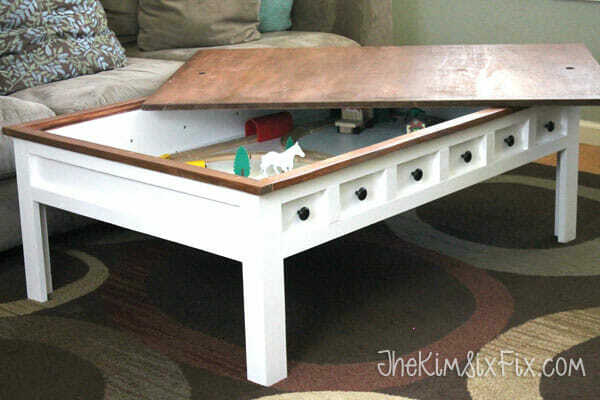 And it only cost about $70 to build this particular living room staple. This isn’t hidden storage per se, but it’s a great solution for adding storage to existing pieces. 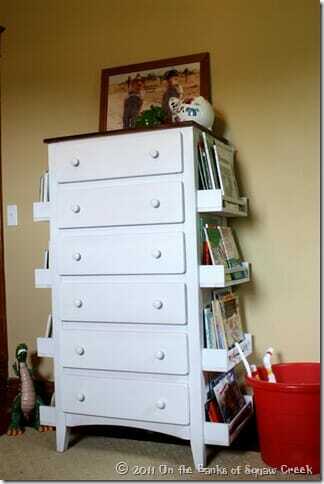 You already own dressers, so you’ll simply be improving on a piece of furniture you already use every single day. This thrifty mom painted some spice racks to match and added them to the sides of her son’s dresser for some handy and accessible book storage. No monsters under the bed—just toys! You can create your own rolling drawers by adding wheels from your local hardware store to the bottom of some shallow drawers for easy storage that slides in and out of view. The other day, I realized that almost all of the DVDs we currently owned were all available on Netflix. So why exactly am I hanging on to all of those DVDs and cases that we never even watch and that the baby constantly steals and flings all over the house? I finally admitted defeat and donated a bunch of old DVDs, which freed up a lot of previously used space in our entertainment center for—you guessed it—toy storage. Those shallow drawers made a perfect space for puzzles and my kid’s favorite games. And no one would ever guess the amount of toy clutter you had stashed in these eye-catching wicker baskets.